THE CUSTOMER AGREES TO BE BOUND BY THIS SALE AGREEMENT AND ACCEPTS ITS TERMS AND CONDITIONS (UNLESS THE CUSTOMER HAS SIGNED A SEPARATE FORMAL PURCHASE AGREEMENT WITH KKI INSTRUMENTS (M) SDN BHD ("KKI INSTRUMENTS (M) SDN BHD"), IN WHICH CASE THE SEPARATE AGREEMENT SHALL GOVERN). This Sale Agreement is a legal contract between the Customer and KKI INSTRUMENTS (M) SDN BHD. The Customer accepts this Sale Agreement by making a purchase, placing an order, or otherwise shopping on the Site. (References to "you" or "your" shall relate to the Customer; references to "KKI INSTRUMENTS (M) SDN BHD" shall relate to KKI INSTRUMENTS (M) SDN BHD LLC, Inc. and its affiliates.) The terms and conditions of this Sale Agreement are subject to change without prior notice, except that the terms and conditions posted on the Site at the time the Customer initially places or modifies an order will govern the order in question. This Sale Agreement constitutes the entire agreement between the Customer and KKI INSTRUMENTS (M) SDN BHD relating to the purchase or sale of goods or services on the Site. The Sale Agreement may only be modified or terminated with regard to goods or services that have been purchased or sold on the Site in a writing signed by KKI INSTRUMENTS (M) SDN BHD. 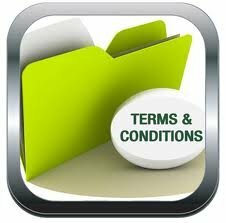 Electronic records (including signatures), that are otherwise valid, shall be accepted under the Sale Agreement. The Customer consents to receiving electronic records, which may be provided via a web browser or e-mail application connected to the Internet; consumers may withdraw consent to receiving electronic records or have the record provided in non-electronic form by contacting KKI INSTRUMENTS (M) SDN BHD at the address provided below. THIS AGREEMENT AND ANY SALES HEREUNDER SHALL BE GOVERNED BY THE LAWS OF MALAYSIA, WITHOUT REGARD TO CONFLICTS OF LAWS RULES. THE CUSTOMER CONSENTS TO THE JURISDICTION OF THE FEDERAL FOR PURPOSES OF ANY SUIT, ACTION OR PROCEEDING ARISING OUT OF THIS SALE AGREEMENT. Title to goods herein being purchased passes to the purchaser upon delivery of the goods to the purchaser, unless otherwise specified. Loss or damage that occurs during shipping by a carrier selected by KKI INSTRUMENTS (M) SDN BHD is KKI INSTRUMENTS (M) SDN BHD's responsibility. Loss or damage that occurs during shipping by a carrier selected by Customer is Customer's responsibility. Title to software will remain with the applicable licensor(s). If goods herein being purchased are being purchased for purposes of export, the Customer must obtain from the federal government certain export documentation before shipping to a foreign country. In addition, manufacturers warranties for exported goods may vary or even be null and void for goods exported outside the United States. Any and all liability is only for the products purchased. KKI INSTRUMENTS (M) SDN BHD is not responsible for any import and/or customs fees that may be incured. Your local government or carrier may charge an import, customs, duty, or brokerage fee. These fees are out of the control of KKI INSTRUMENTS (M) SDN BHD, , and vary based on your local government and carrier requirements. Please contact your local government or carrier to determine these fees. KKI INSTRUMENTS (M) SDN BHD HEREBY EXPRESSLY DISCLAIMS ALL WARRANTIES EITHER EXPRESSED OR IMPLIED, INCLUDING, WITHOUT LIMITATION, ANY WARRANTY OF MERCHANTABILITY OR FITNESS FOR A PARTICULAR PURPOSE. THIS DISCLAIMER BY KKI INSTRUMENTS (M) SDN BHD IN NO WAY AFFECTS THE TERMS OF THE MANUFACTURER'S WARRANTY, IF ANY. All pricing subject to change. For all prices, products and offers, KKI INSTRUMENTS (M) SDN BHD reserves the right to make adjustments due to changing market conditions, product discontinuation, manufacturer price changes, errors in advertisements and other extenuating circumstances. High volume bids are welcome. While KKI INSTRUMENTS (M) SDN BHD uses reasonable efforts to include accurate and up-to-date information on the Site, KKI INSTRUMENTS (M) SDN BHD makes no warranties or representations as to the Site's accuracy. KKI INSTRUMENTS (M) SDN BHD assumes no liability or responsibility for any errors or omissions in the content on the Site. KKI INSTRUMENTS (M) SDN BHD will not be liable for lost profits, loss of business or other consequential, special, indirect, or punitive damages, even if advised of the possibility of such damages, or for any claim by any third party except as expressly provided herein. KKI INSTRUMENTS (M) SDN BHD will not be liable for products or services not being available for use or for lost or corrupted data or software. Customer agrees that for any liability related to the purchase of products or services, KKI INSTRUMENTS (M) SDN BHD is not liable or responsible for any amount of damages above the aggregate dollar amount paid by customer for the purchase(s) under this agreement. By ordering the services requested from KKI INSTRUMENTS (M) SDN BHD, the Customers acknowledges and agrees: KKI INSTRUMENTS (M) SDN BHD LLC and their affiliates are resellers of contracts for professional services, customized professional services and training and are not the providers of said services. The Service Provider is the only obliger responsible for providing services to the Customer. The Customer will look solely to the Service Provider for any loss, claims or damages arising from the purchase of such services, hereby releasing KKI INSTRUMENTS (M) SDN BHD, KKI INSTRUMENTS (M) SDN BHD LLC, Inc., and their affiliates from any and all claims the Customer may have arising from the provision of any such services. KKI INSTRUMENTS (M) SDN BHD is merely acting to assist the Customer in obtaining the services desired by it and provided by the Service Provider. Orders are not binding upon KKI INSTRUMENTS (M) SDN BHD until accepted by KKI INSTRUMENTS (M) SDN BHD. Terms of payment are within KKI INSTRUMENTS (M) SDN BHD's sole discretion. Invoices are due and payable within the time period noted on the invoice, measured from the date of the invoice. KKI INSTRUMENTS (M) SDN BHD may invoice parts of an order separately. Customer agrees to pay interest on all past-due sums at the highest rate allowed by law. The Customer is responsible for sales and all other taxes associated with the order. 1. ADVANCED: Full payment has to be received by us upon placing order for any Goods even if the item need to be indented. 2. 50% ADVANCED, 50% CBD: 50% Payment has to be received by KKI upon placing an order as deposit. 50% Balance has to be paid before the delivery of Goods after the Goods arrived. 3. COD: Cash Purchase from any of our outlets by means of credit cards/cash and the collection of Goods directly from our outlets.Cheque is not a form of payment until it is cleared from banks. 4. 30 DAY: Pay within 30 days after the receipt of Goods. 5. 60 DAY: Pay within 60 days after the receipt of Goods. Goods sold are not returnable nor exchangeable. Shipping charges on returned items are the customer's responsibility. For your protection, we strongly recommend you fully insure your return shipment in case of loss or damage . Please use a carrier that is able to provide you with proof of delivery. If you receive damaged merchandise, it is best to REFUSE it back to the carrier attempting delivery. If you accept the package make sure it is noted on the carrier's delivery record in order for KKI INSTRUMENTS (M) SDN BHD to file a damage claim. Save the merchandise AND the original box and packing it arrived in, notify KKI INSTRUMENTS (M) SDN BHD immediately to arrange for a carrier inspection and a pick up of damaged merchandise. If you do not notify KKI INSTRUMENTS (M) SDN BHD of damaged goods within the first 3 days of arrival, our regular return policy will override any claim of damage, and will fall under all current manufacturer restrictions. Contact Customer Relations at 07-4355540 or your KKI INSTRUMENTS (M) SDN BHD account manager to arrange for carrier inspection and a pick up of damaged merchandise. Item accuracy is not an acceptable reason for the return of any merchandise. However, this will be subj. to factory warranty. DEFECTIVE returns can be returned directly to KKI INSTRUMENTS (M) SDN BHD within 7 days from the invoice date for credit, replacement, exchange or repair. Manufacturer restrictions do apply and are outlined in our detailed policy. Any item that is missing the UPC code will ONLY be replaced with the same item. After 7 days, all manufacturers warranties apply. NON-DEFECTIVE returns can not be accepted directly by KKI INSTRUMENTS (M) SDN BHD. If the package is refused by the customer, the customer shall be responsible for the return shipping fees, the 20% restocking fee, and the original shipping charges are not refunded. An incorrect or undeliverable address entered by the customer is subject to a RM20 intercept fee, and must be approved by the customer while in transit. If the product is returned due to an incorrect or undeliverable address entered by the customer, shipping charges are not refundable. Only defective software can be returned to KKI INSTRUMENTS (M) SDN BHD. The return must take place within 14 days of invoice date and may only be replaced for the SAME software title. Multiple software licenses cannot be returned for refund or exchange unless first authorized by the manufacturer. There is no guarantee we can cancel your order after an order has been placed. Send cancellation requests to KKI INSTRUMENTS (M) SDN BHD. Please include your order number with your request. KKI INSTRUMENTS (M) SDN BHD has the right to refuse any order where a coupon code or gift certificate has been missused. The coupon code must be present on the product page from which the customer is ordering and can not be used from a different product.